This week's beautifully organized space of the week is from the home of fellow design blogger, Bryn of Bryn Alexandra Interiors. 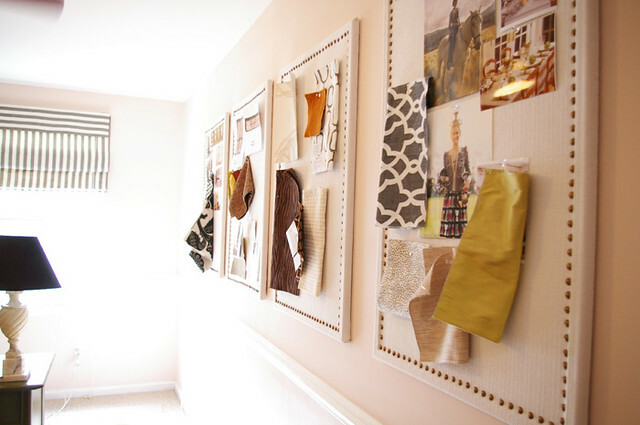 Bryn recently created four beautiful bulletin boards to post and organize her inspirations, sketches and fabric swatches. 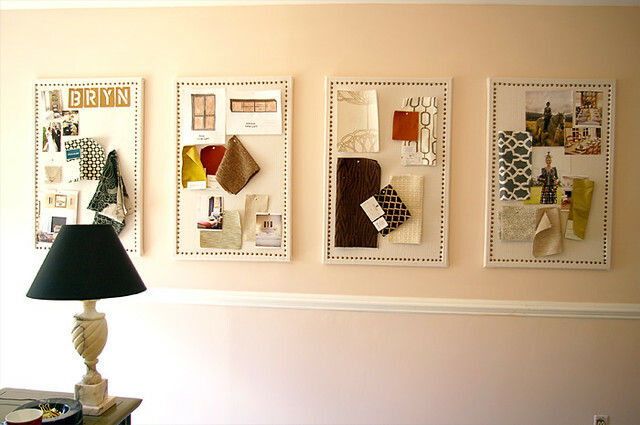 I love the idea of having multiple boards -one for each project. Great for us visually oriented types!